This morning we had 2 visitors in school (Miss Judge and Mr Bull) - the Bexley and Crayford representatives for the NSPCC. 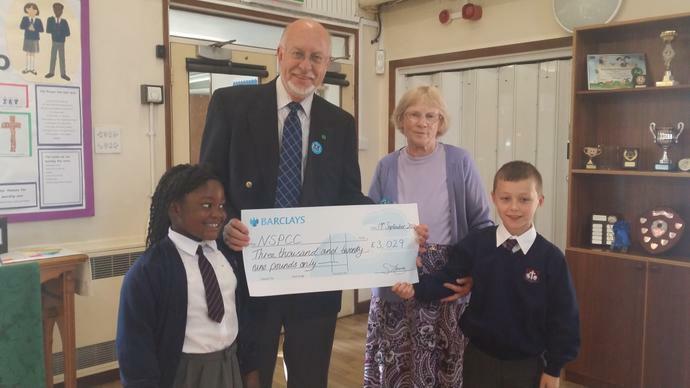 They came to receive a cheque for £3,029 which was raised by the children's sponsors in our fun run last Summer. They were extremely grateful for such an unusually large contribution which will go towards a very good cause. Miss Judge and Mr Bull presented the school with a certificate to thank us for our donation.